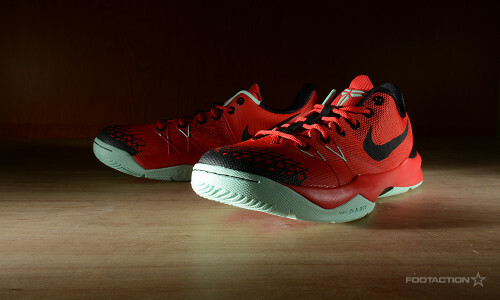 The Nike Zoom Kobe Venomenon 4 is back in a brand new red and black colorway. Combining low-profile cushioning and outdoor traction elements, the sneaker boasts superior cushioning and the ability to change direction on outdoor surfaces. Hyperfuse upper allows for breathability, lightweight support and durability, along with an injected Phylon misleading for low-profile cushioning. Indoors or outdoors, the Venomenon 4 should be your sneaker of choice. Print article This entry was posted by hhcblog on July 15, 2014 at 11:54 am, and is filed under Footwear. Follow any responses to this post through RSS 2.0. You can leave a response or trackback from your own site.